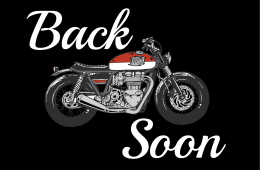 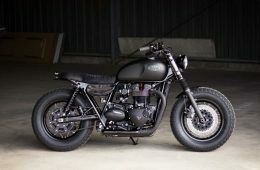 With the good weather being back with us at last (for now anyway), you may be looking at making a few stylish or trendy modifications to your Triumph Twin, perhaps for its visit to this year’s Bike Shed Show at the weekend, or maybe you want your Triumph Twin to look super dapper for your local DGR ride in September. 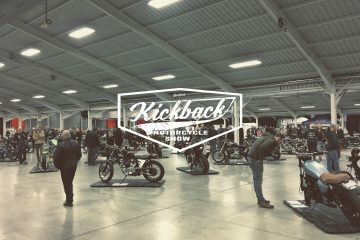 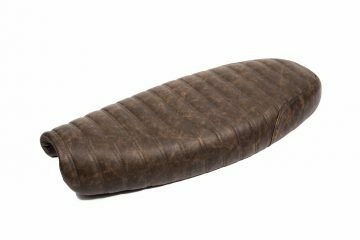 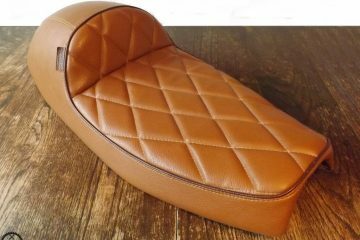 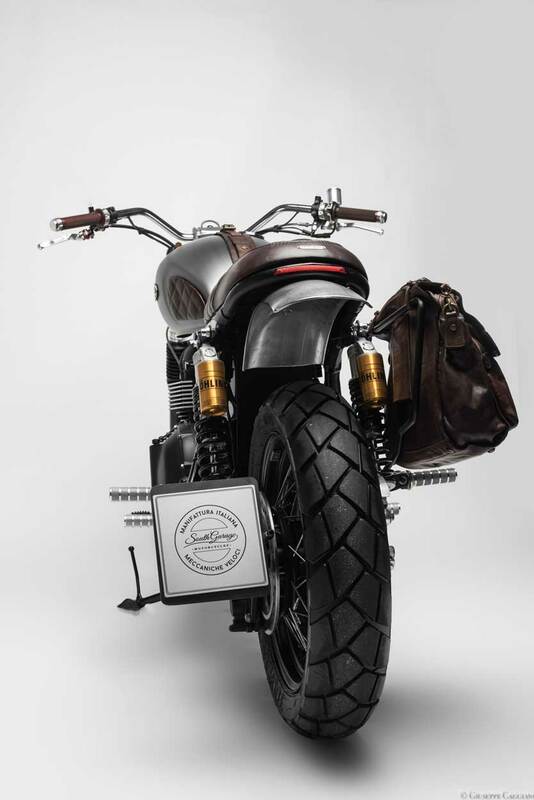 Regardless of your reasons, if you are looking for some seriously nice parts and accessories, you need not look much further than Milan based South Garage, who manufacture a range of parts and accessories for not only the Hinckley Triumph Twin but also the BMW R series and Moto Guzzi V7. 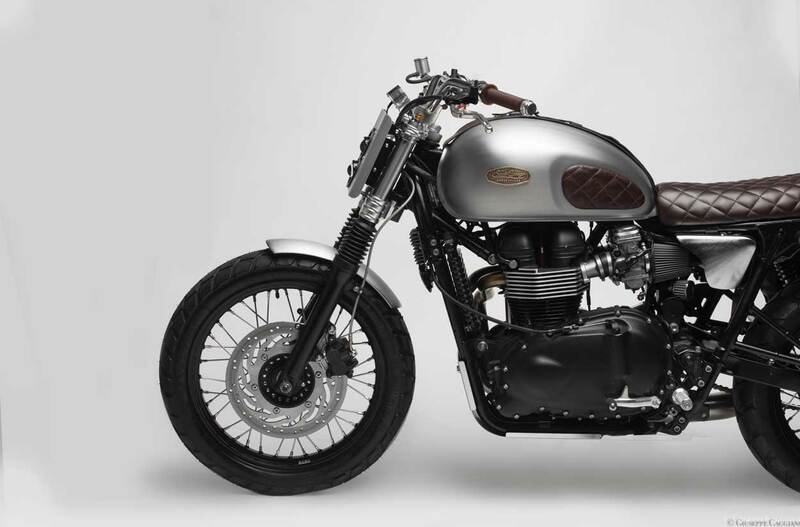 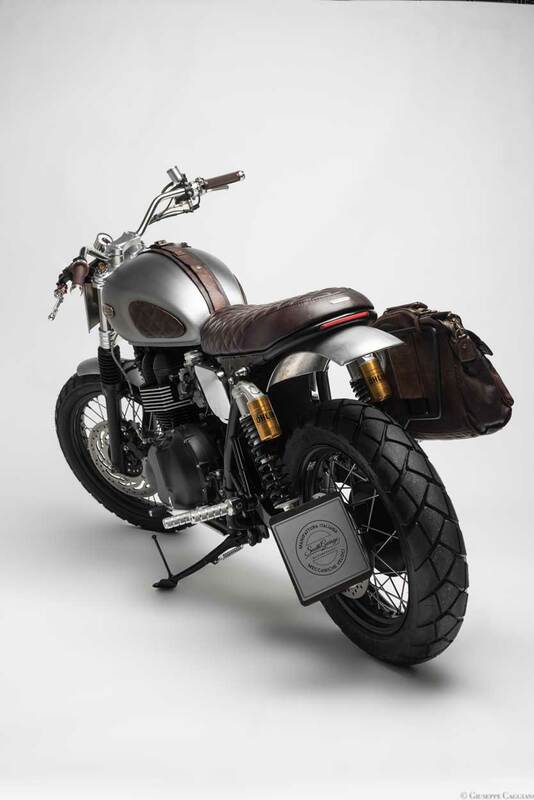 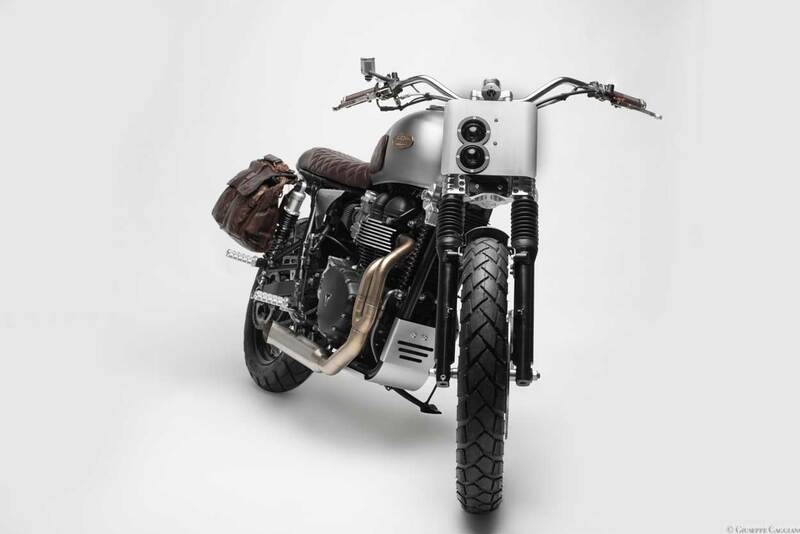 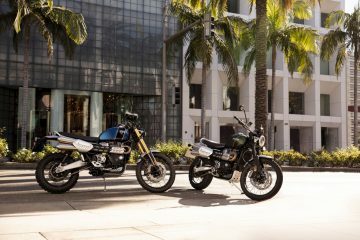 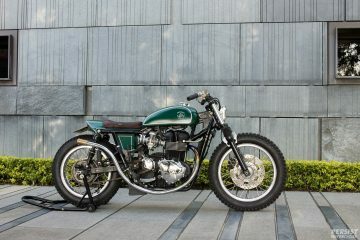 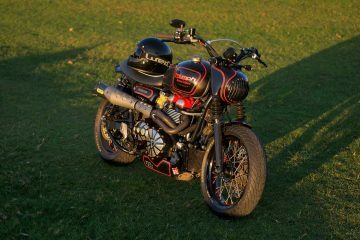 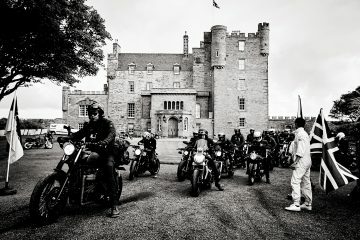 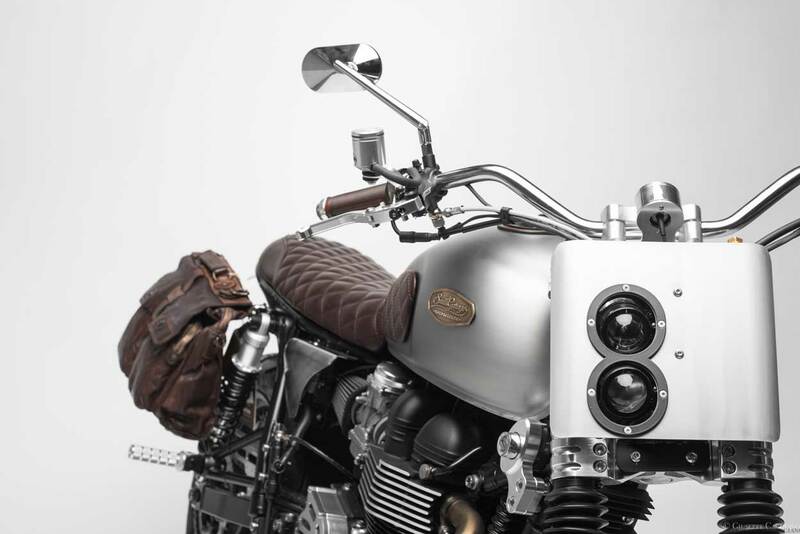 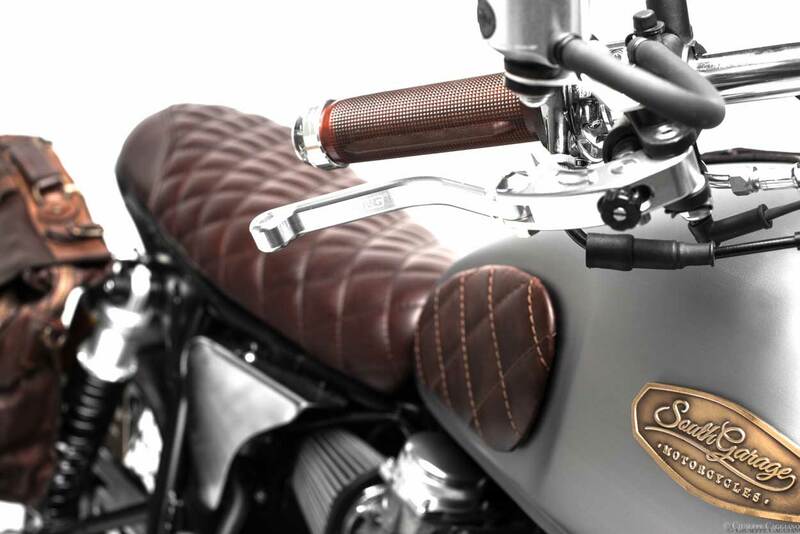 To showcase their product range, as well as their customising skills, the chaps at South Garage will take a humble Triumph Twin off the streets, and catapulted it into the world of motorcycle haute couture. 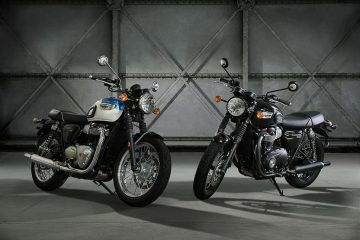 (check out the image at the bottom). 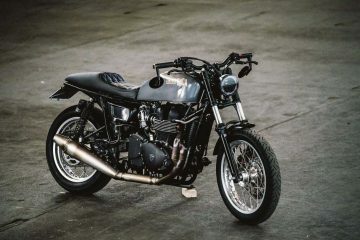 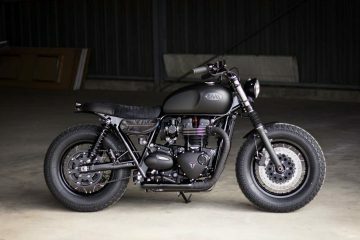 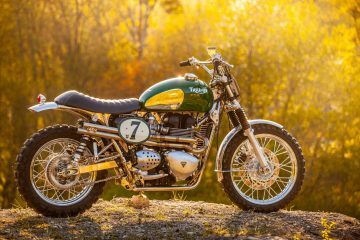 This particular custom Triumph Twin is named the ‘Endiro’, a build based on a 2015 Bonneville, which typically has been cut and looped. To keep that newly bobbed back end nice and clean, an LED strip taillight has been fitted and recessed into the loop, with the turn signals being mounted to the rear shock mounts. 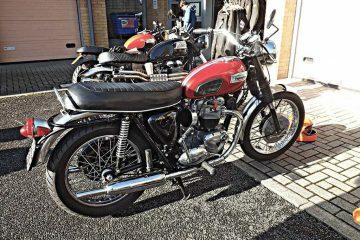 And finally, the number plate has been relocated to the left-hand side of the swing-arm using a side mounted number plate bracket. 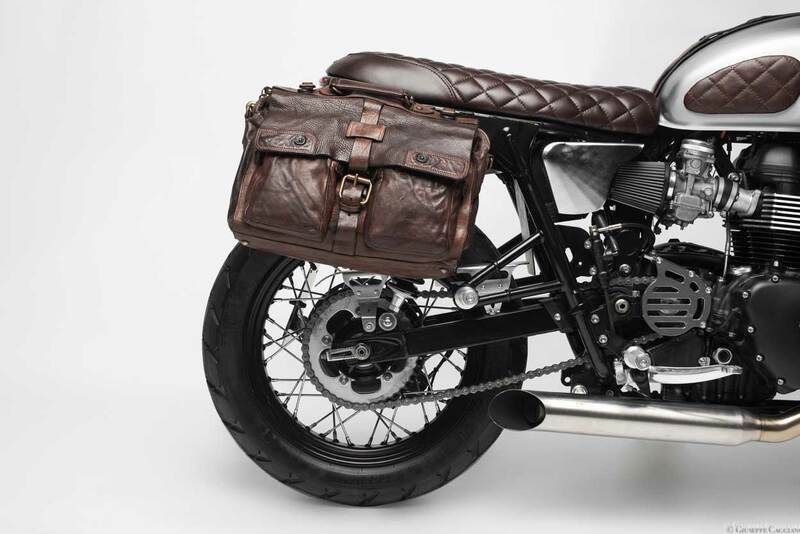 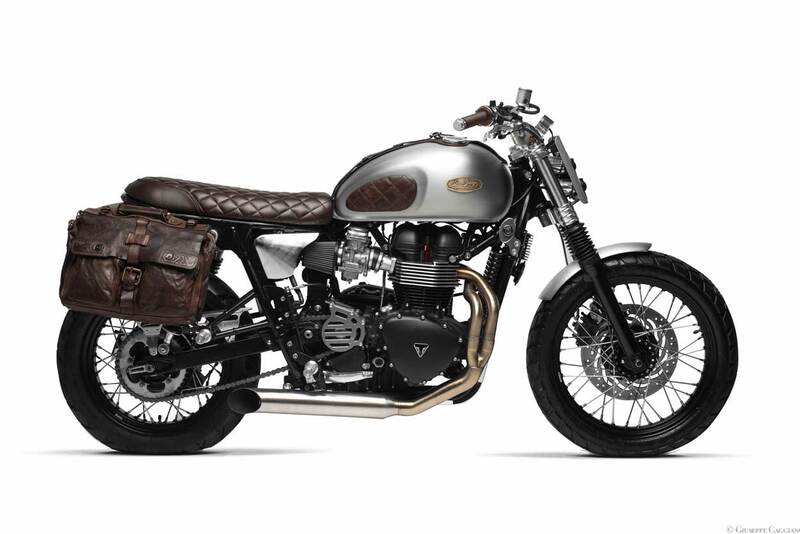 Above, is a triple layered padded custom seat, expertly upholstered in diamond-stitched water repellent brown leather, leather extending on to a pair of diamond-stitched knee pads, adding comfort, and helping to protect the brush effect finish on the stock EFI fuel tank, a tank also wearing a cool leather strap and contrasting South Garage tank badges. 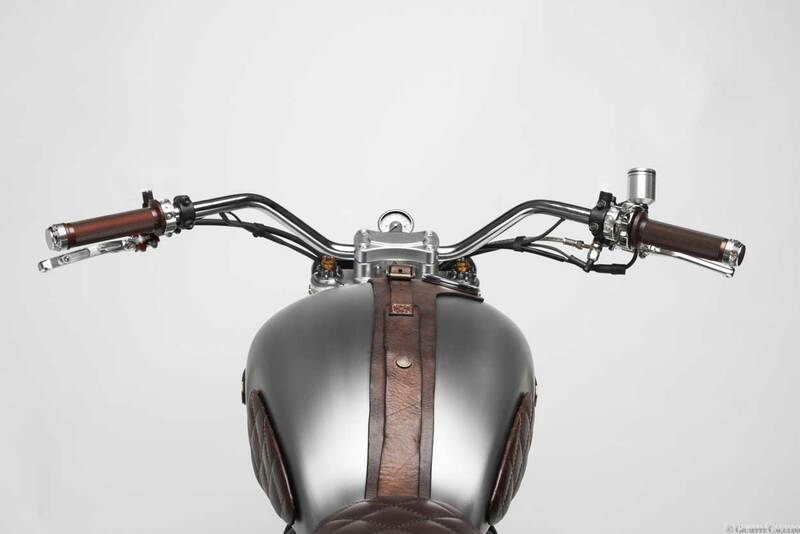 Below the seat, the battery/air-box has been removed and replaced by an eliminator, exposing the EFI injector intakes, now wearing a set of conical BMC air filters, partly covered by brushed aluminium side covers. 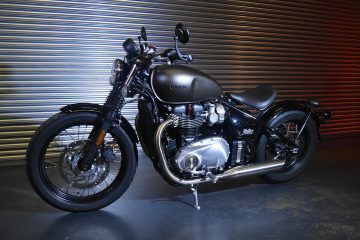 The breathing and performance have been further improved with the fitting of a 2 into 1 Hot Road exhaust system from Sparks along with a lightened camshafts and a Rapidbike control unit. 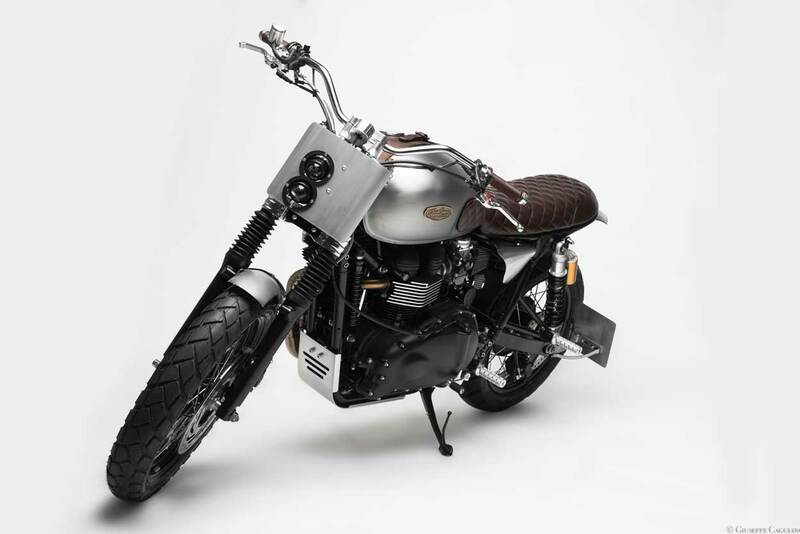 Shrouded by a custom brushed aluminium number board fitted with twin focal headlights, are custom CNC’d yokes and risers, made in collaboration with FG Racing. 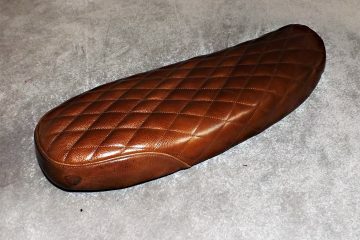 Above which is Motogadgets Tini speedo and wider sweeping bars. 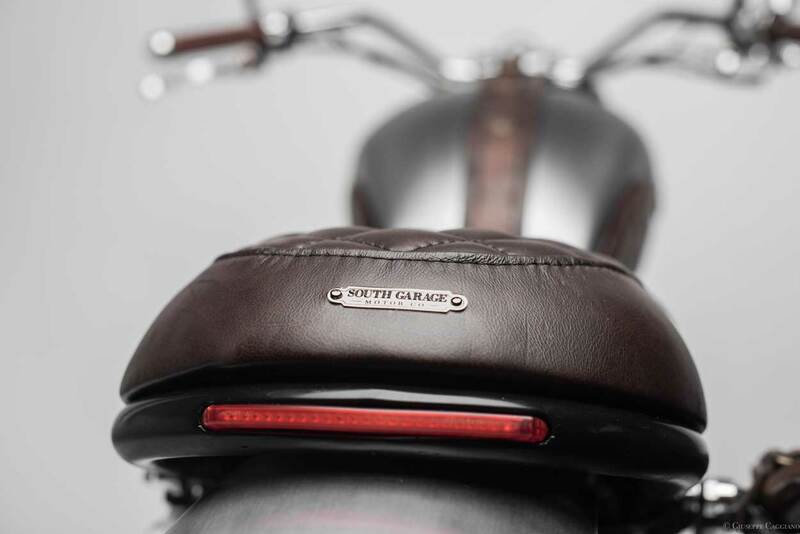 Kept clean and clutter free with the fitting of a set of polished Motogadgets m.switch mini’s switches and a BRAKING Master cylinders & levers combo, all topped off with brown grips and m-blaze bar end turn signals. 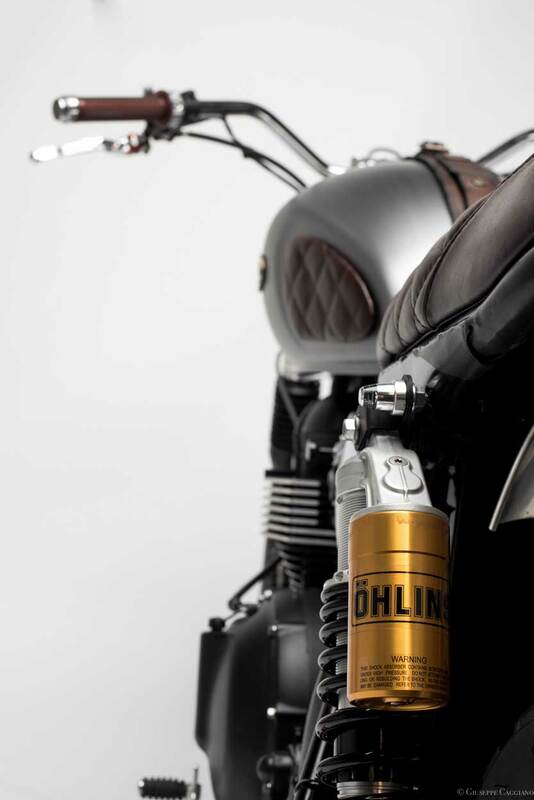 The handling on this Triumph Twin has been improved with the fitting of Ohlins shocks both front and rear, with the stock rims being ditched in favour of lighter aluminium items finished in black, laced to the stock hobs and wrapped in a set of Metzler Tourance tires. Details on this Endiro include a bobbed front mudguard and many items from the South Garage catalogue including their own ignition and rectifier relocation brackets, sprocket cover and chain and sump guards. 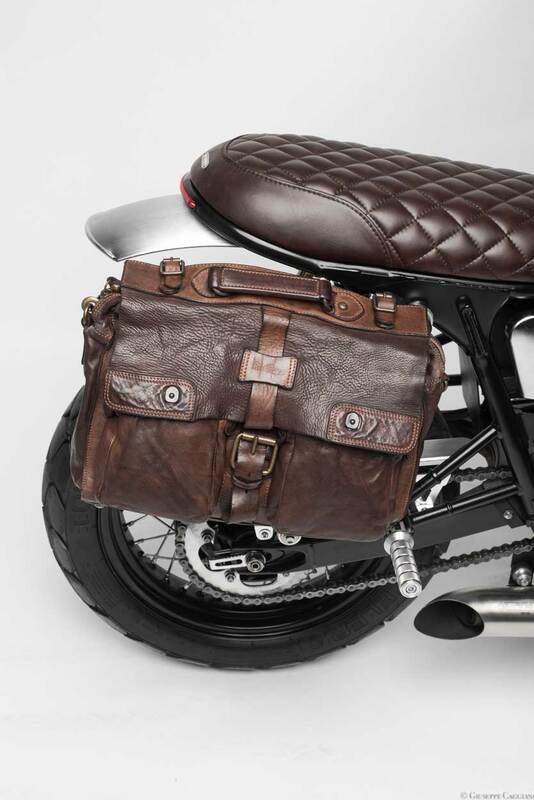 As well as items from their universal range such as that very nice Harvey Pannier, mounted at the rear using the Triumph pannier brackets.